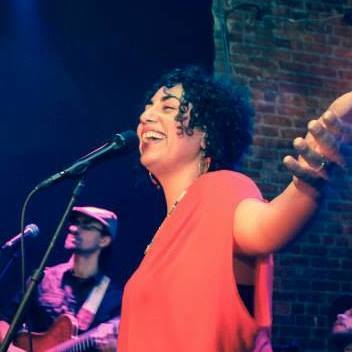 As the daughter and sister of two formerly incarcerated Afro-Puerto Rican men, musician Taina Asili has also been an activist involved in the prisoner justice movement for years. In attempt to proliferate the messages of equality and justice, Asili recently released a powerful new song and accompanying music video, “Freedom,” which features Black Lives Matter and prisoner justice activists in an attempt to invigorate and support their work. She wrote the song in response to the Black Lives Matters movement after being inspired by Michelle Alexander’s book The New Jim Crow: Mass Incarceration in the Age of Colorblindness. “Freedom” builds on the musical legacy left to her from her parents, and was filmed in her home community of Albany, New York, an important stop on the Underground Railroad. It also features Michael Reyes. Taina graduated from Goddard College with a MA in Transformation Language Arts. A longtime touring artist with her band, Y La Banda Rebelde, Taina is “carrying on the tradition of her ancestors, fusing past and present struggles into one soulful and defiant voice” (from TainaAsili.com). Learn more about her tips for activists keeping healthy and engaged in this post, and more about Taina’s study and work while at Goddard here. Taina has been a featured performer at several of the TLA Network’s Power of Words conferences over the years, bringing big crowds to their feet and onto the dance floor. Learn more about Taina, listen to her music, and watch her videos here. This blog was previously published at the Transformative Language Arts Network blog site. This entry was posted in Activism, African-American Studies, Multiculturalism & Diversity Studies, Music, Singing & Songwriting, Transformative Language Arts and tagged Black Lives Matter, Taina Asili. Bookmark the permalink.